My paternal great grandmother Fera came to the United States under someone else’s name. Family lore has it that a cousin by the name of Ester had arranged passage and broke her leg the day before the trip, so Fera’s family coerced her into taking Ester’s place, telling her that she could return to Kishinev if she didn’t like the United States. Fera had siblings here and lived with them once she arrived. Although she was unhappy here at first, she did stay, and eventually she married my great grandfather David Aptekar, whom she met at the Kishinev Society. 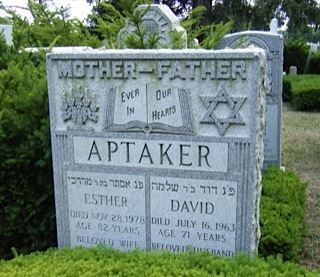 Fera took David’s last name (sometimes spelled Optaker or Aptaker), but she always kept the name Esther as her official first name. She never sought naturalization and feared ever leaving the country because she was afraid her borrowed identity would be found out. Fera’s branch is one that I have had a difficult time tracing back to Europe. I know that she was from Kishinev, but I haven’t been able to locate any records there for her. Her gravestone lists her father’s name as Mordecai, but I had no luck finding Bessarabian records for him either. In order to work my way back, I decided to try to find her passenger record, but this proved quite difficult, because I had no idea what last name she traveled here under. Her real last name was Citron (also spelled Citrin, Tsitrun, etc. ), but I wasn’t sure which side of her family her cousin Ester was on, and searches for Ester Citron and variants turned up nothing. So my next strategy, after a basic search for variants of “Fera Citron” and “Ester Citron,” was to try to track down her siblings. My aunt remembers that Fera had two siblings in the United States: a brother, possibly named Mischa, with whom she lived when she first arrived; and a sister, Jenny, who married into the Batuchansky family, which later went by the last name Blayne. I had searched and searched for Fera’s passenger record under the names “Ester Citron” (and variants) and “Fera Citron” but could find matching records with appropriate dates for neither. I had more success with records from after she was in the United States. 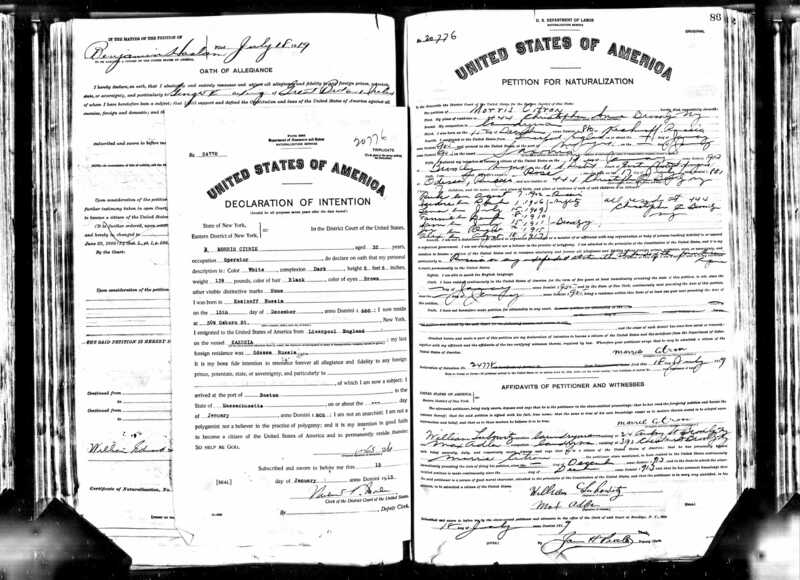 Her 1930 and 1940 census records indicate that she arrived in the United States in 1913 or 1914, narrowing down her possible immigration year. But the most helpful item I found was a census record listing Esther Aptekar and her two young daughters, Sadia and Rose (my grandmother), as living with a couple named Morris and Rose Citron and several of their children. Their presence together as one household on the census helped cement my identification of this Morris Citron as Fera’s brother. 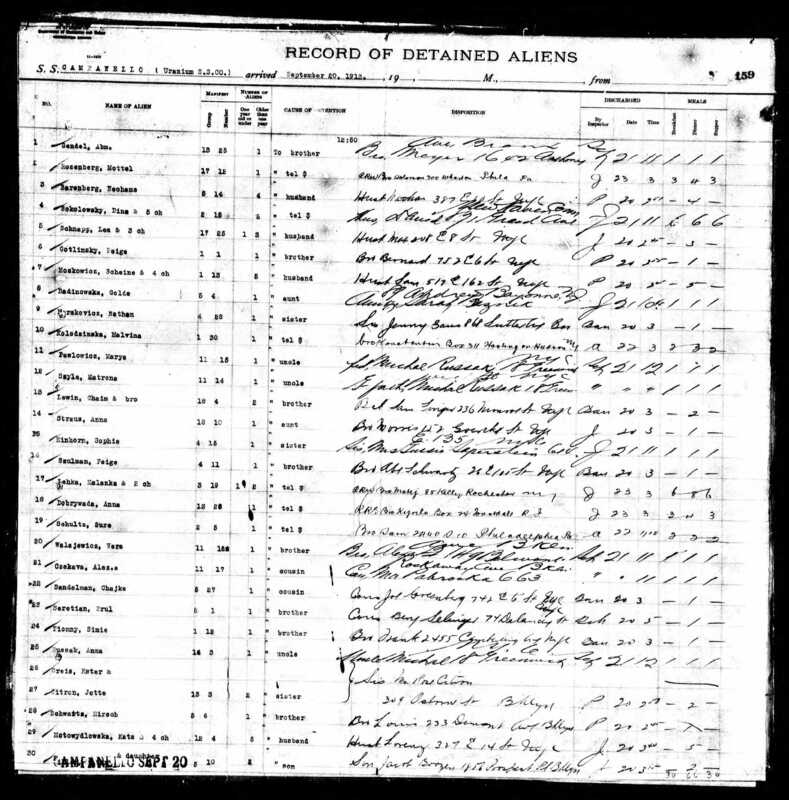 I also found a naturalization record for a Morris Citron, born in Kishinev, and his wife Rose, born in Odessa. The names of his children roughly match those on the census, although not exactly. 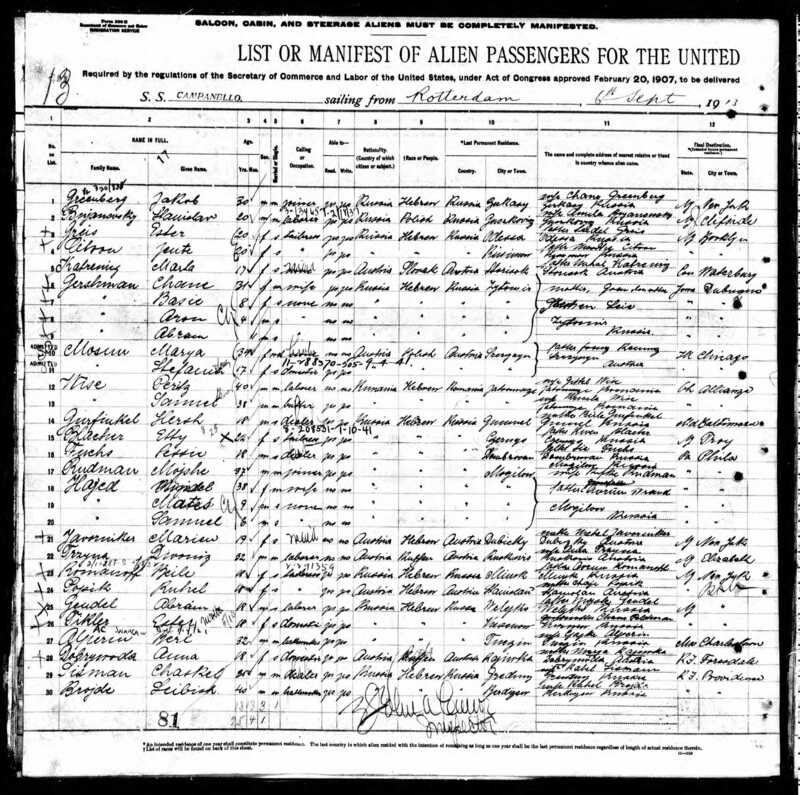 However, I still could not locate passenger lists for any of the siblings. I had looked several times without success. I had run across a listing for a Jente Citron, but the transcribed place of origin was “Risinow,” and I had dismissed this record several times because I didn’t think the place of origin was a match. But this time I decided to take a closer look and realized that in fact, the listed place of origin could be Kishinev. Furthermore, Jente’s father’s name was listed as something like “Mordky” (the first four letters are clearer than the last two), which is close to “Mordko,” a variant of Mordechai—the same name listed on Fera’s gravestone. Interesting, I thought, and went to save the record to my shoebox for further investigation later. But just as I was about to set it aside, I noticed something: Jente Citron’s name is bracketed, by hand, with the person above hers, an Ester Greis, from Odessa, whose father’s name is listed as Seidel Greis. Both Ester and Jente are listed as being 20 years old. They clearly had been bracketed together because they were traveling together, but one was from Odessa, and the other was from Kishinev. Suddenly, I realized I might be able to match the address on the passenger list to an address in one of Morris Citron’s records. I also recalled that Morris Citron’s wife was named Rose. I pulled up Morris’s 1925 New York census record again, but the address wasn’t a match. Then I opened up his naturalization papers again, and on his declaration of naturalization, I found a matching address: 309 Osborne St. Given that “Jente Citron” is from Kishinev and lists her father as “Mordky,” it seems likely that this is in fact the passenger record for Jenny, although the 1920 US Census gives her arrival date as 1915 and the 1930 Census says she arrived in 1911. The best guess is that she did arrive sometime within that 4 year range. But who is Ester Greis, why was she traveling with Jente/Jette Citron from Kishinev, and why is Rose Citron listed as their “sister” on the passenger list? And why isn’t Morris Citron listed as Jente/Jette Citron’s brother? 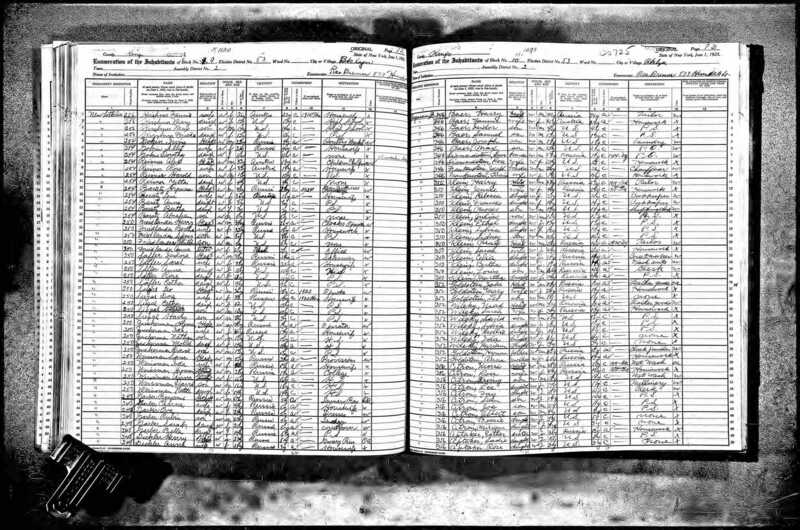 Searching on Ancestry.com, I found a couple of public family trees that match the information found in Morris and Rose’s census records. Both trees list Rose’s maiden name as “Griess,” but neither tree documents the source of Rose’s maiden name. I contacted the owner of each tree and received a reply from one of the granddaughters of Morris and Rose Citron. Her mother, who is still alive, confirmed that Rose’s last name was in fact Greiss, so it seems likely Ester Greis and Rose Griess were in fact sisters. But was this the real Ester Greis? Or is this perhaps the record of Fera coming over under Ester’s name? 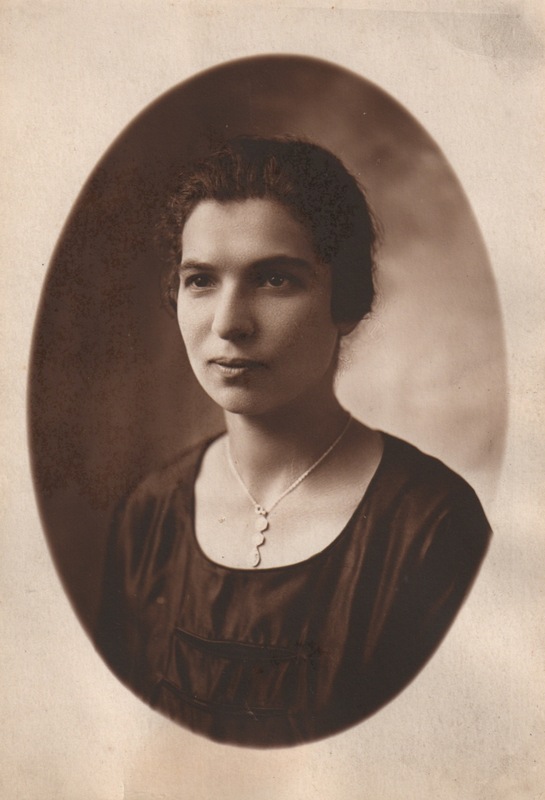 The next step is to see if there are any other records for Ester Greis after her arrival, and to find out whether any other records connect Fera to this name. 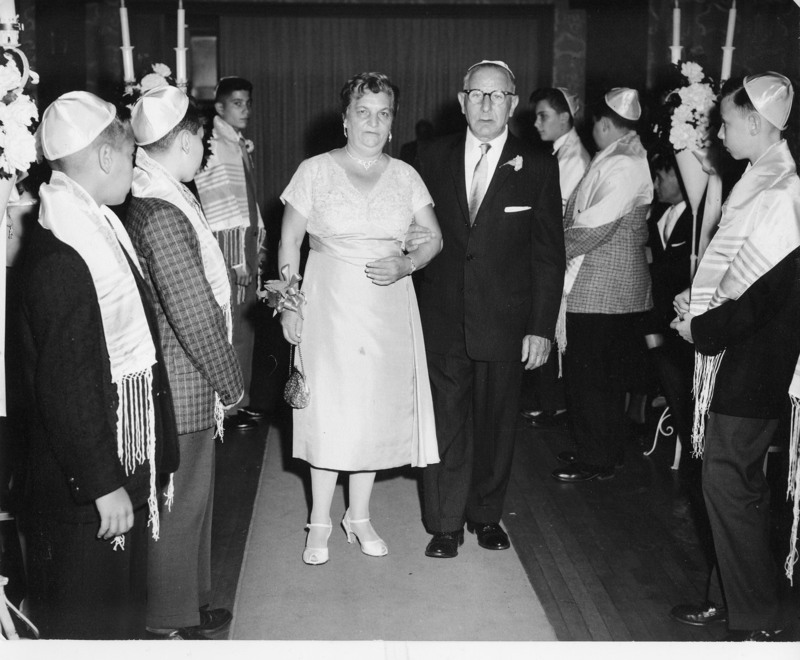 Esther (Fera) and David Aptekar at my father’s bar mitzvah. I just ran across this excellent video tracing the history of Sephardic Jews from the expulsion to the modern-day Balkans (in Spanish with English subtitles). To me, this is the most fascinating chapters in Jewish history, as I am have always been interested in my own possible Sephardic roots. As I learned at the IAJGS conference last summer here in Boston, many of those of us consider who consider ourselves entirely Ashkenazi may soon find out, through the advent of genetic genealogy, that we have stronger connections to Sephardic Jews than we ever imagined. The video also speaks to the important concept of convivencia, which departed with the Jews when they left during the Expulsion, but which they continued to carry with them. My first encounter with genealogy when I was a child was, of course, likely in elementary school, where I’m sure I was asked at some point to construct a rudimentary family tree—a tree that was likely very simple and extended only as far back as my grandparents and perhaps their siblings. But my first distinct memory of trying to create a family tree had nothing to do my own family tree. My mother was at that time a literature professor, so our house was filled with books, which I would regularly poach from the shelves. I remember that around the age of ten or so I started reading Robert Graves’s The Greek Myths, which provides a number of trees tracing the descent of Greek gods and heroes. I tried to create my own version combining all of the separate trees into one overall tree, but I never seemed to fit all of the pieces together. At some point as what we would now call a “tween,” I also became obsessed with name etymology and history. I must have startled my parents when I purchased a baby name book. For some reason, I started constructing and charting imaginary genealogies using the names in the book. I would spend hours and hours doing nothing but listing these fictional lines of descent. Later, my interest morphed into reading particularly novels that traced family descent, such as Gabriel García Márquez’s warped family tree One Hundred Years of Solitude or Toni Morrison’s magical family history in Song of Solomon (also both found on my parents’ book shelves). For many years to come, my interest in genealogy was subsumed within my interest in literature, which I studied in college and graduate school. Looking back on it now, I wonder why I found these fictional genealogies so fascinating, and I think it was likely because of the limitations of my family’s own genealogical knowledge. My grandparents were born in this country, but their parents were all born in Eastern Europe. We were fortunate as a family to have come to the United States early, but as a result, a lot of ties were lost, even among extended family members who had all come over and ended up in different places across the United States: New York, of course, but also Colorado—where my grandmother, mother, and I were all born–and Michigan, among others. Many branches ended up in countries across the globe, from Mexico to South Africa to Israel. My parents told me about all of my grandparents’ siblings and their families, of course, but beyond that their knowledge was sketchy, and among the previous generation I think there was a reluctance to talk much about family history that extended back to Europe before World War II because so many people had been lost. I’m sure my grandparents were aware of the family history, but my parents only vaguely so, and no one really discussed it. Today, my grandparents are all deceased, and I find that I’ve largely lost a valuable oral tradition that could have filled in many of the gaps I’m now facing. Luckily, some of my older cousins have done much of the work to trace back particular lines—and impressively so, given that they completed the work back in the 1990s, before information was so accessible online. The Katz/Kates line is well fleshed out for several generations thanks to my cousin Barbara, as is the Zagon line, thanks to my cousins Bob and Mindy. As for the other lines, I’m left to try to piece it together with the help of family members, such as my great-aunt Edy, or through genealogical research and collaboration with total strangers, who may also be distant relatives. I’m even delving into the new frontier in genealogical research, genetic genealogy. Each step raises at least as many new questions as it answers. In upcoming posts, I’ll talk about some of the methods that I’ve found most helpful. Welcome to the Little Oak: Roots and Branches Blog! Welcome to my family history blog. I have been fascinated with family history and genealogy since I was a little girl, but for a long time the effort to trace family lines uprooted by migration and conflict seemed quixotic. Then, about five years ago, I started researching my family history in earnest by taking advantage of the numerous resources now available online. More recently, I discovered the new possibilities provided by genetic genealogy and social media. I’m excited to share my experience with others and hope that this site will inspire you to explore your own family history.